It’s strange to think that the first Lego Star Wars game came out a little under 10 years ago. The silly little title went on to spawn an absolute juggernaut, adapting nearly every major franchise under the sun, from Batman, to Harry Potter, to Lord of the Rings. It comes full circle with Lego Star Wars: The Force Awakens. 10 years later, not much has changed. 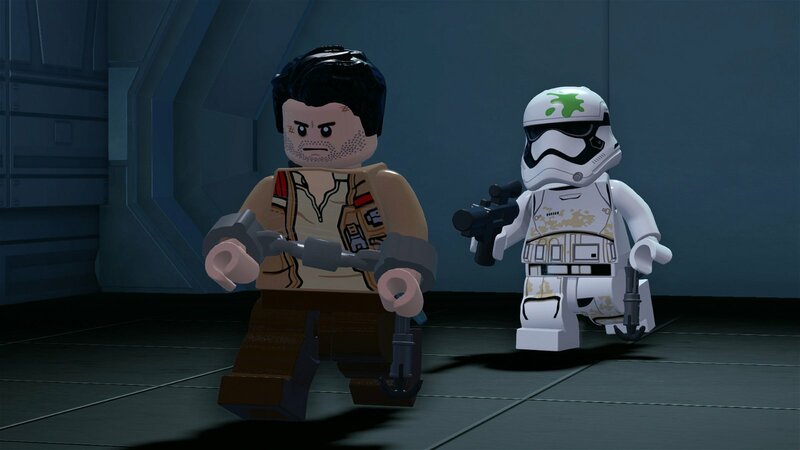 If you’ve previously played a LEGO game, the gameplay in The Force Awakens is largely the same: you play through the events of The Force Awakens film using a large variety of characters to fight through waves of enemies, solve puzzles and generally destroy everything and collect as many studs as you can. It’s the same old thing you’ve played dozens of times before, aside from two major differences. Throughout the game, there are several segments where the gameplay shifts into a cover-based shooter, as well as the chance to participate in various spaceship battles. They’re basic versions of the tried and true Gears of War and StarFox formulas, respectively. Within the context of a LEGO game, they feel like a refreshing and much-needed change of pace from the regular gameplay. Generally, LEGO movie games cover multiple films within a franchise. However, since the core of Lego Star Wars: The Force Awakens surrounds one film, TT Fusion fills in the gap by adding a series of side missions that place between the events of Return of the Jedi and The Force Awakens. The cool part is that the entire main cast of the film returns to voice their respective roles. Yes, that includes Harrison Ford returning as Han Solo, which is a small miracle within itself. These missions are varied and fun and provide some fun backstory to the events of the movie, such as how Han Solo and Chewie managed to wrangle giant “rathtars” onto their ship or a rescue mission by Poe to save Admiral Ackbar. The problem is that, like every LEGO game, it’s the same game through and through. Those changes mentioned above are simply not enough. It doesn’t make The Force Awakens a bad game, but as someone who’s played nearly all of them, it feels like running through the motions without much of a reason to keep going aside from my love for the movie. Lego Star Wars: The Force Awakens gives you everything you expect from a LEGO game, for better or worse. 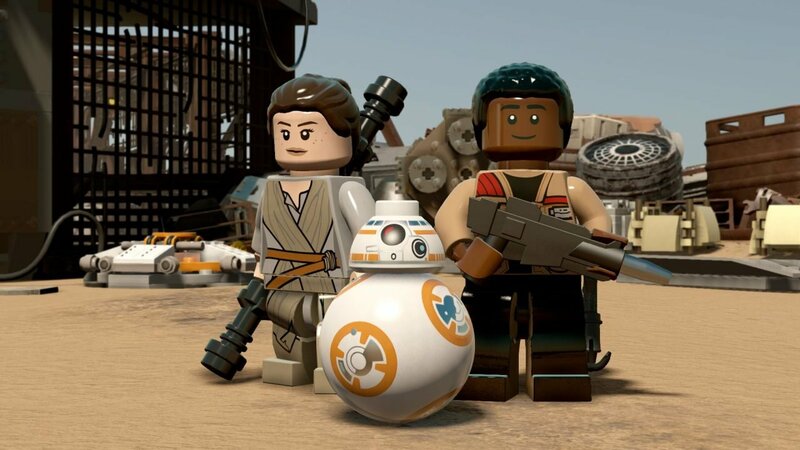 The LEGO humor and charm is still strong, the New Star Wars Adventures are fun, and the space battles and cover shooter mechanics offer some diversity in terms of gameplay. Unfortunately, it’s still the same experience you’ve played many times before in other LEGO games. If you’re a big Star Wars fan, or just looking for something fun for the whole family, it’s still worth a return trip to a galaxy far, far away. Star Wars: The Force Awakens gives you everything you expect from a LEGO game, for better or worse.